Mayfair Tennis Camp will help your son or daughter explore the world of tennis. With tennis lessons from certified professionals in a fun and motivating environment, your junior player will learn to play tennis on one of our modern tennis courts. Afternoons at Camp include recreational swimming for a refreshing end to a fun-filled day. We have seasonal kids camps during March Break, Passover, Summer & Winter Break. 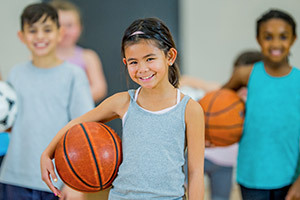 PA Day, March Break, Summer, Jewish Holiday and Winter Holiday Camps. Children explore the world of squash at Mayfair Squash Camp.